Water Quality Monitoring – Caslys Consulting Ltd.
Water quality surveys and analyses are often key components of maintaining environmental standards during resource development and throughout multiple stages of mine activity and decommission. As part of ongoing monitoring programs for mining activities, Caslys was contracted to develop a database application that enables various users to review, analyze, summarize and report on the water quality results of the monitoring program. Caslys developed a user-friendly database – with a Microsoft Access front-end and various database back-ends (e.g., SQL Server, PostgreSQL, Microsoft Access) – that enables non-technical users to review, summarize, and report on water quality monitoring information. The database is linked to a GIS system, facilitating the display and summary of spatial attributes including (1) groundwater, surface water and seep station locations; (2) parameter concentration levels; and (3) locations where concentrations exceed protection agency standards. The product has functionality to import Microsoft Excel and CSV (comma delimited) files into the database, analyze water quality results using time trend charts and XY scatter plots, drill-down functions to view specific monitoring station details, and review associated sample results. 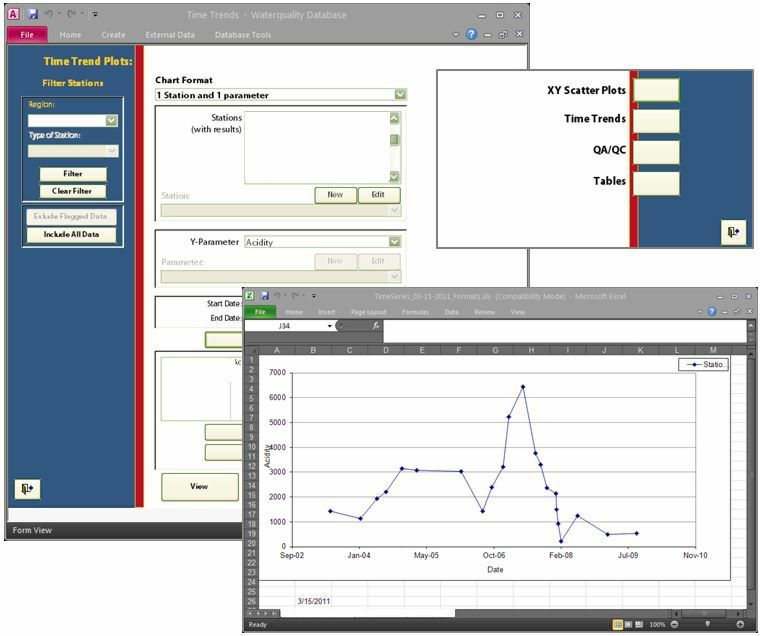 Custom reporting functions were also developed that allow the data to be exported into various formats (i.e., Microsoft Excel and Grapher). The database application includes easy-to-navigate forms for data review and customized reporting functions that allow the company to adhere to legislated government reporting criteria and meet internal monitoring requirements.